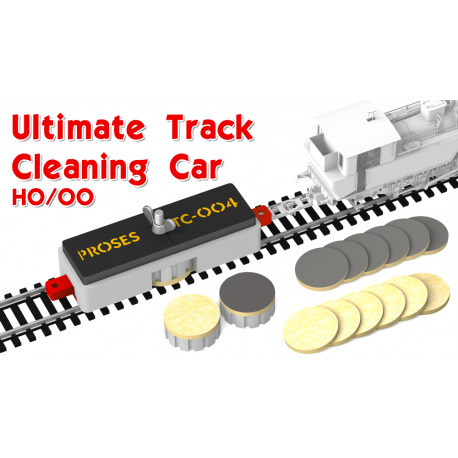 The Ultimate Track Cleaning Car is the perfect, effective and easy to use track cleaner with wet and dry cleaning functions. 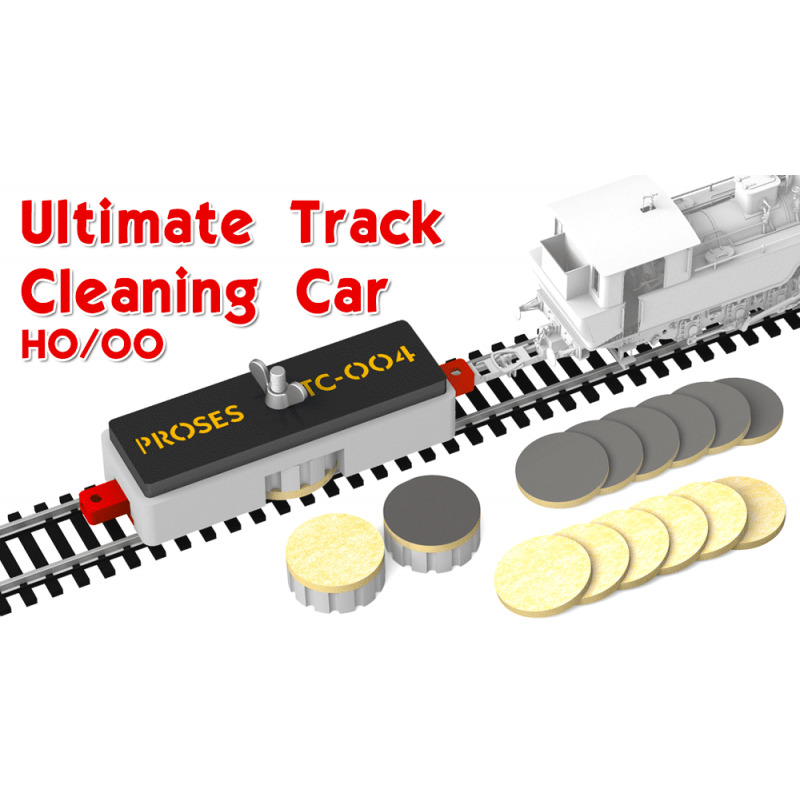 It can be pulled or pushed by a locomotive. 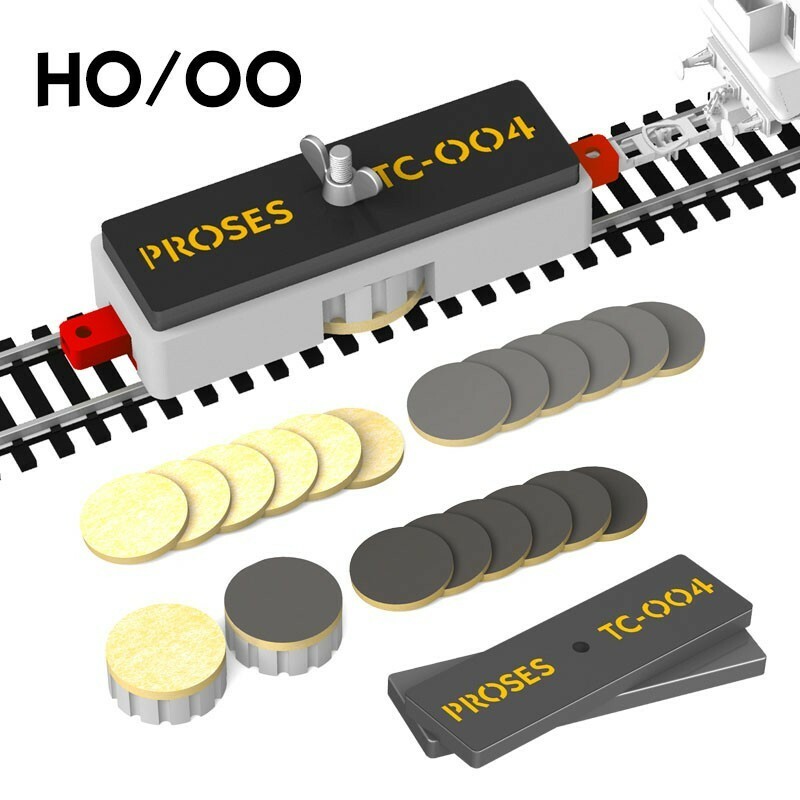 A simple coupling is included to fit many couplers but also has a standard NEM pocket to use your own couplers. 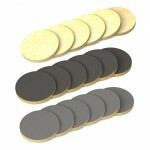 Fine and super fine abrasive pads included for perfect cleaning. Pads can be used many times as they can be rotated and fixed in 30 degree angles once they become dirty enabling the use of unused areas of the pads. 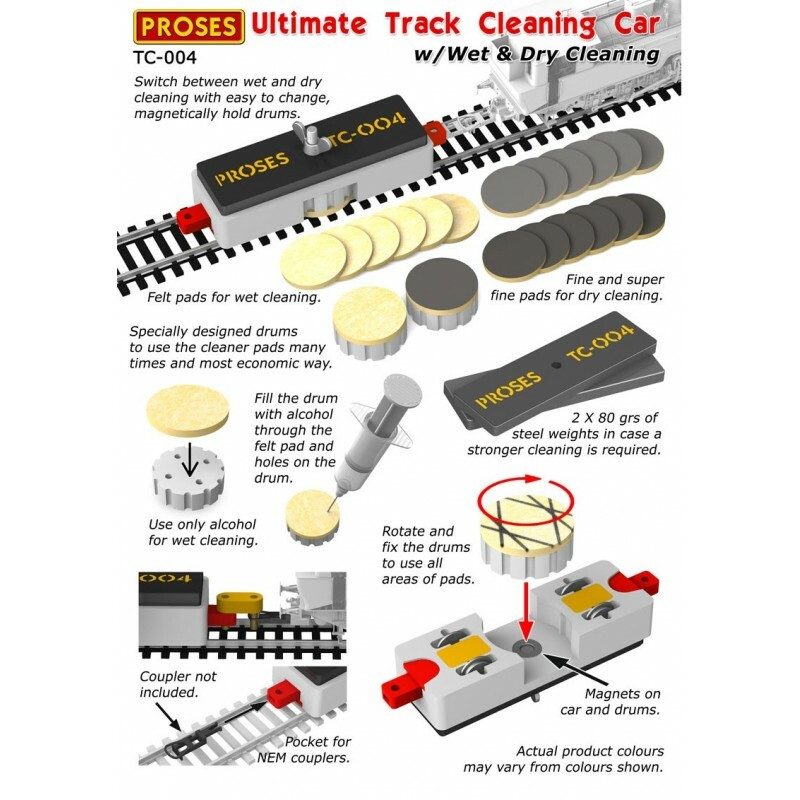 There are 2 round containers which you can place the abrasive pads or felts for wet cleaning. Containers are easily rotated and fixed magnetically for clean areas of abrasive pads or felts. Containers can be filled with alcohol for wet cleaning when used with felts. They are filled with the syringe included in the kit. All pads are backed with double sided adhesive tapes. By buying this product you can collect up to 65 loyalty points. Your cart will total 65 loyalty points that can be converted into a voucher of € 3.25.